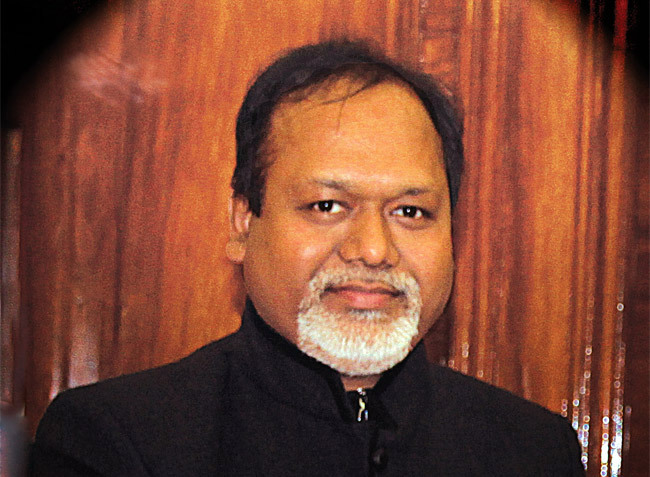 Whilst the recast 11th development plan on a 15 years long perspective was fast tracked for approval of the Government, the consequential acquisition and procurement processes have been quite tardy which may be detrimental to the envisaged capability build plan for the nation’s coastal security. The operational preparedness and coastal security mechanism of the Indian Coast Guard was reviewed by Defence Minister, Nirmala Sitharaman on November 17, 2018. While doing so, the Defence Minister stressed on its modernisation by 2022 through the Definitive Action Programme of the Ministry of Defence which envisaged acquisition of 43 ships, 20 aircraft and other facilities. The Review Meeting of the Defence Ministry’s Consultative Committee was attended by Minister of State for Defence, Dr Subhash Bhamre, MPs from Lok Sabha and Rajya Sabha, Indian Coast Guard Director General Rajendra Singh along with senior officials of MoD. Defence Minister Sitharaman reiterated that the Indian Coast Guard continues to discharge a silent but invaluable service to the nation and she lauded the efforts of all personnel of Coast Guard for its multiple successful search and rescue missions, humanitarian aid, assistance to fishermen and increased surveillance capability. Ensuring safety and protection of the artificial islands, offshore installations and other structures in India’s maritime zones. Preservation and protection of maritime environment including prevention and control of maritime pollution. 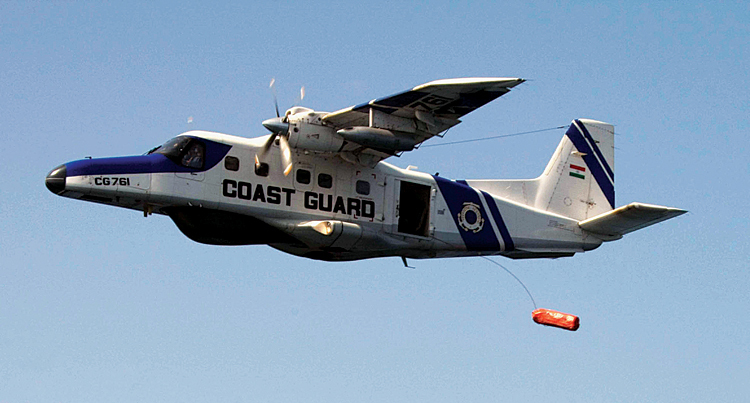 The need for a full-fledged Air Wing for Indian Coast Guard (ICG) was felt right from the time of its inception. The first ICG aviation unit to be commissioned was 800 SQN on May 22, 1982, with two Chetak helicopters at Goa. The first fixed wing squadron of Indian Coast Guard was commissioned with two Fokker Friendship (F-27) aircraft on July 30, 1983. These aircraft were taken on dry-lease from Indian Airlines. 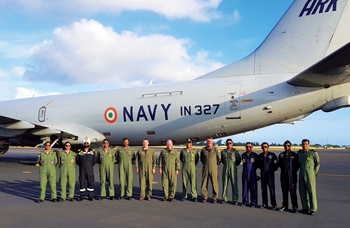 These aircraft did a yeomen service to ICG through their tireless operations from Dum Dum Airport in maritime surveillance and search and rescue roles covering the entire Exclusive Economic Zone (EEZ). The first planned induction included 12 fixed wing aircraft for coastal surveillance and six single engine helicopters to support ships at sea. The first Dornier squadron was commissioned as 750 Squadron (ICG) at Daman in January 1987. The first full-fledged Air Station was commissioned at Daman on October 29, 1987. Since then the following air squadrons/flights have been inducted into the service and are located as shown in the box. Logistics and operational cover for the ICG ships at sea. Security patrol of offshore installations/oil rigs. The present force levels of the Aviation Wing of ICG comprises 39 Dornier, Do-228 coastal surveillance aircraft, four twinengine Dhruv Advanced Light helicopters and 19 Chetak singleengine helicopters. As per its assessed requirement in 2007-08, ICG had projected a requirement of 154 ships and 93 boats. Since the formation of Aviation Wing in May 1982 and nearly two decades later, in a comprehensive Long-Term Perspective Plan 2002-12, the Coast Guard envisioned its aviation assets to be enhanced to 100 aircraft. Post Mumbai 26/11 and in a major revamp of the country’s coastal surveillance and security apparatus, ICG had projected a force-level of 268 vessels, including 173 small patrol craft, 113 aircraft, 18 Nishant unmanned aerial vehicles (UAV) and aerostat and Over the Horizon (OTH) radars by 2017. The aviation component of the projected force levels comprised; 60 helicopters, 35 Dornier, Do-228 aircraft for coastal surveillance, an increase in the inventory then existing of 24 aircraft and 11 Medium Range, Maritime Reconnaissance (MRMR) aircraft. The plan also encompassed commensurate increase in the manpower strength to man the augmented aviation assets of ICG. As a short-term measure, Cabinet Committee on Security on February 26, 2010 accorded sanction for the acquisition of 60 surface platforms and 42 aircraft which was to be processed with stringent timelines. However, as long-term measure, the 11th development plan for 2007-12 was recast on a 15-year perspective spanning from 2007-2022. The approved modernisation plans for ICG Aviation, broadly included 42 aircraft, prominent among them being six MRMR aircraft. 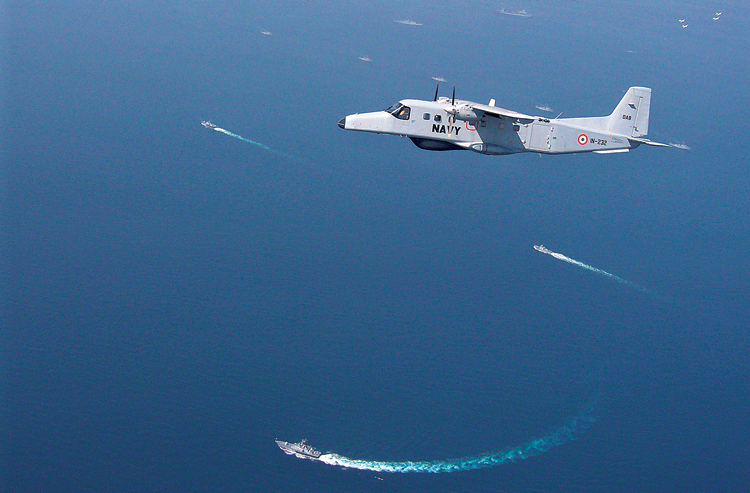 The ICG version of MRMR aircraft being Multi-Mission Maritime Aircraft (MMA). 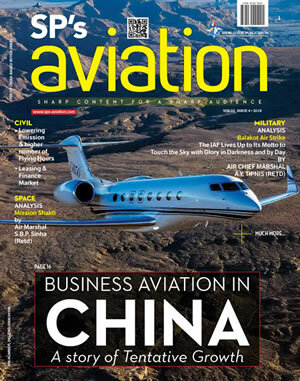 In response to RFP for six MMA only two leading aircraft manufacturers, the Russian Irkut’s Beriev Be-200 and the American Bombardier Q400, whose bids were conforming to the RFP, were shortlisted for trials. However, both aircraft failed to qualify the stringent field evaluation tests. Considering the strategic importance of MMA, ICG is pursuing MoD for expeditious issue of fresh RFP for six MMA. 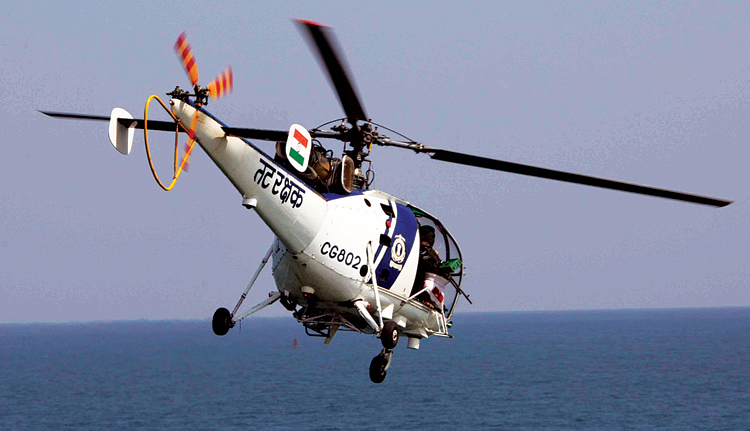 RFP for eight helicopters for coastal surveillance and search and rescue (SAR), two each to be based at Chennai, Kochi, Daman and Port Blair were issued. The tender envisaged initial lease period of two years, extendable to two more years. Initially, RFP was issued to four major helicopter manufacturers, i.e. French Eurocopter, British-Italian Agusta Westland and two American Companies Kaman and Sikorsky. However, towards the end 2009 the same was cancelled for technical reasons. To elicit response from a larger segment of helicopter manufacturers and the operators, both of Indian and foreign origins, a fresh RFP was issued in early 2011 to as many as 16 vendors. In response, only Sikorsky and Agusta Westland responded to the tender. While the present status of the dry-lease programme is not known, however, it is understood that there is no headway being made. In addition, a $200 million RFP for 16 twin-engine light helicopters to be deployed on ICG ships to augment aerial patrol and surveillance, as also the SAR capabilities has been approved by the MoD. The RFP was issued to four leading helicopter manufacturing companies, namely Eurocopter, Agusta Westland, Sikorsky and the Hindustan Aeronautics Ltd (HAL). Since none of the vendors qualified during the technical evaluation, fresh RFI has been issued. Considering the urgent requirement for ship borne flights this programme deserves to be fast-tracked. Further, there are reports to suggest that RFP for procurement of additional 14 twin-engine shore-based helicopters for ICG is at final stage for approval by the Government. The modernisation plan for ICG Aviation is an integral part of the major revamp of coastal security apparatus prompted by the events of Mumbai 26/11. Whilst the recast 11th development plan on a 15 years long term perspective was fast tracked for approval of the Government, the consequential acquisition and procurement processes have been quite tardy which may be detrimental to envisaged capability build plan for the nation’s coastal security. Source: SP’s MAI, Issue No. 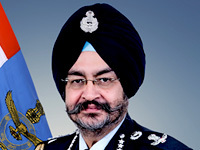 14; July 16-31, 2012 - Indian Coast Guard – Aviation. The Defence Acquisition Council (DAC), recently chaired by Defence Minister Nirmala Sitharaman has accorded approval for the Mid Life Upgrade of 17 Dornier Aircraft of ICG at an approximate cost of 950 crore. The upgrades will be carried out by HAL. In order to enhance the capabilities of the fixed wing surveillance and reconnaissance aircraft, DAC has accorded approval for upgradation of Dornier Do-228 with the state-of-the-art technology, spares, Special Maintenance Tools (SMT) and Special Test Equipment (STE). The DAC also approved equipping of three aircraft with Pollution Surveillance Systems. A decade after the Mumbai 26/11 terror strikes, the Coast Guard’s long-delayed modernisation plans are finally beginning to take wings. ICG plans to augment its force levels to a 190-ship and 100-aircraft by 2023. To take the modernisation plans forward ICG has projected an outlay of 2.09 lakh crore spread over the next 15 years. However pragmatic or ambitious the perspectives might appear, it remains to be seen what ICG eventually gets through the 2017-2022 – Long-term Perspective Plan! It may be a mute question since over the years the annual defence budget has witnessed either no growth or has increased very marginally. MoD last year has approved a 36,068 crore “Definitive Action Programme (2017-2022)” for the Coast Guard to bolster its all-round capabilities to undertake coastal security, EEZ surveillance, anti-piracy, anti-smuggling, oil-spill and pollutioncontrol operations. It is hoped that the honoured commitments will be kept, ensuring that the committed programmes will be efficiently executed.